Brussels sprouts are an important dietary source of many vitamins and antioxidants including vitamins A and C, the mineral manganese, flavonoid antioxidants like isorhnnetin, quercitin, and kaempferol, as well as antioxidants caffeic acid and ferulic acid. They help us prevent chronic, excessive inflammation through a variety of nutrient benefits like their glucosinolate content. Gluconsinonlates help regulate the body’s inflammatory/anti-inflammatory system and prevent unwanted inflammation. 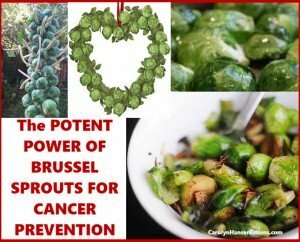 The glucosinolate content found in Brussel sprouts is greater than what’s found in turnip and mustard greens, cabbage, kale, cauliflower and broccoli and the cancer protection found in Brussel sprouts is due largely to four specific glucosinaolates: glucoraphanin, glucobrassicin, sinigrin, and gluconasturtian. Vitamin K is another anti-inflammatory nutrient in Brussel sprouts and a direct regulator of inflammatory responses that help us avoid chronic, excessive inflammation. They are a good source of vitamin C, folate, manganese, vitamin B6, dietary fiber, choline, copper, vitamin B1, potassium, phosphorus and those important omega-3s. They even supply our bodies protein. Top all this off, add important disease-fighting phytochemicals and you can see why Brussels sprouts need to be at the top of your cruciferous vegetable choice list that you eat on a regular basis. Once purchased, they should be kept unwashed and untrimmed in a plastic bag in the vegetable bin of the refrigerator where they can be stored for about 10 days. You also have the option to steam them for 3-5 minutes (a really healthy option) pop them in freezer bags and into the freezer where they will keep for up to one year. Although primarily served as a side-dish, Brussel sprouts are also great in salads. They also make a great snack food that can be eaten as is or seasoned to taste with salt and pepper or any seasoning of choice. Before washing, remove any yellow or discolored leaves and wash the sprouts under running water to remove any insects that may be lurking between the inner leaves. To cook Brussel sprouts evenly and quickly, cut them into quarters, allow them to sit for 5 minutes (this brings out their health promoting qualities) and then steam for 5 minutes. It’s important that you do not overcook Brussels sprouts as they lose their nutritional value and taste and begin emitting an unpleasant sulfur smell associated with overcooked cruciferous vegetables. You can add sauces such as Honey Mustard for extra flavor and to give it a little tang. Don’t be afraid to experiment with your favorite mild sauces for variety. For an exceptionally healthy side-dish or salad, toss them with high grade olive oil and some good balsamic vinegar or serve and enjoy them with sliced red onion, largely chopped walnuts and a favorite cheese like feta or goat cheese. 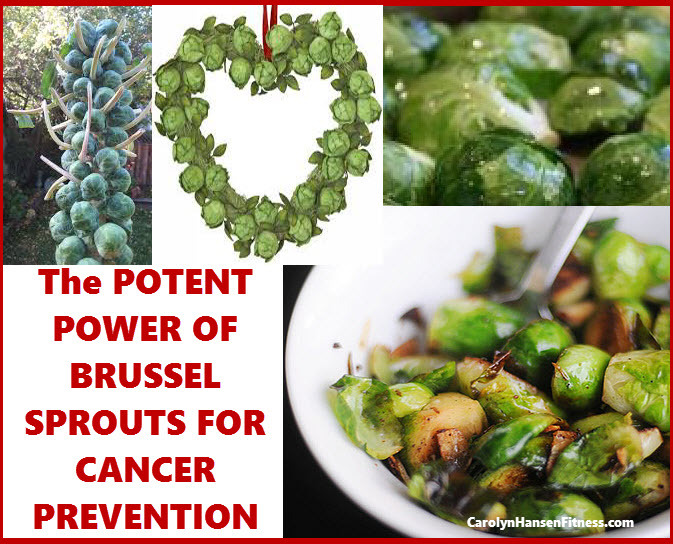 However you choose to enjoy these nutrient dense cruciferous vegetables know that they are an important warrior in the fight against cancer and other chronic diseases and need to be included in your diet on a weekly basis. If you would like to know if you are at risk for cancer? Take my 1 minute “Cancer Risk Test” to find out what your future holds.